Ladies and Gentlemen, Dudes and Dudettes, I present you the number one album of 2008. Okay not really, but this album is the strongest contender yet, for never have I come across music that’s so unhinged but deeply engaging at the same time. I’m obsessed with this record, it’s ridiculous. 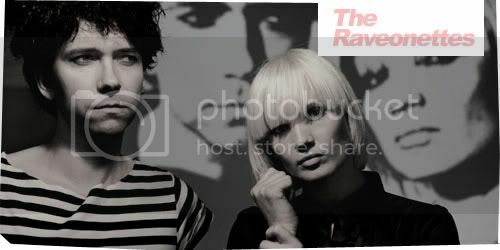 The Raveonettes consist of Sune Rose Wagner and Sharin Foo, a rock and roll duo all the way from Denmark, and this album, called Lust Lust Lust is their fourth release to date. 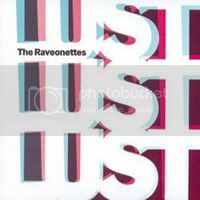 As bleak or as cold as many reviews have made this record to be (though all in a good way, mind you), I’ve formed a completely different judgment towards it, owing to the fact that I love the album for the exact opposites. The first track, ‘Aly, Walk with Me’, might just be the only song in the entire album that will scare you shitless, for its brooding basslines and menacing guitar assaults, but ahead of that, is nothing but sweet surf-pop shimmers that’s disguised in heavy layers of fuzz, guitar distortions, and noise that believe it or not, exudes warmth and a hazy feeling. Contrary to what many people have said, I think the album is beautiful; it’s hard-edged but it’s also sweet, plus it’s addicting by every succeeding listen, and in it dwells luminous pop pieces, each one containing pretty guitar melodies that’ll send hearts aflutter. The singing lightly hovers above buoyant melodies, and though perfectly harmonized between the duo, it’s lyrically hard to distinguish, which may have contributed to the fact that I find this collection neither unwholesome nor seedy. And if possible, I’d like to keep it that way. Songs come in small, bite-size portions; hence the listening experience was as brief as it was delightful. Choosing a single track proves to be the hardest thing to do when served with so many great tracks all at one go. So, I thought, what the hell, here are two for your listening pleasure. Here’s an acoustic version of ‘Dead Sound’ without all the noise, and guess what? It’s still good!